Dragobete, is an ancient celebration of love (from thracians and dacians times, that are the ancestors of romanian people). Is something similar to Valentine`s Day but is oldest than this and here in Romania we have specific customs for this celebration. In this day of 24th February the young people make promises of love and in some cases it becomes something similar to an engagement. 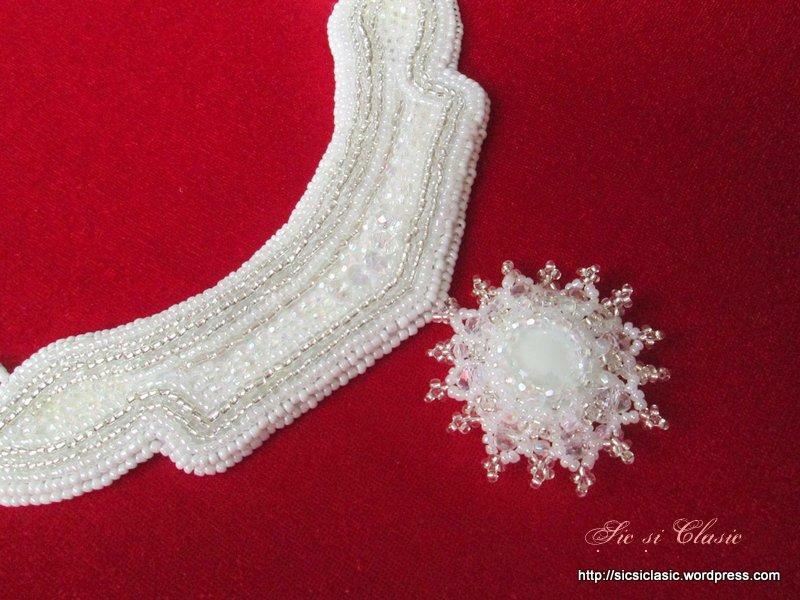 For this special occasion I choose to show you a bride necklace from my chic collection. 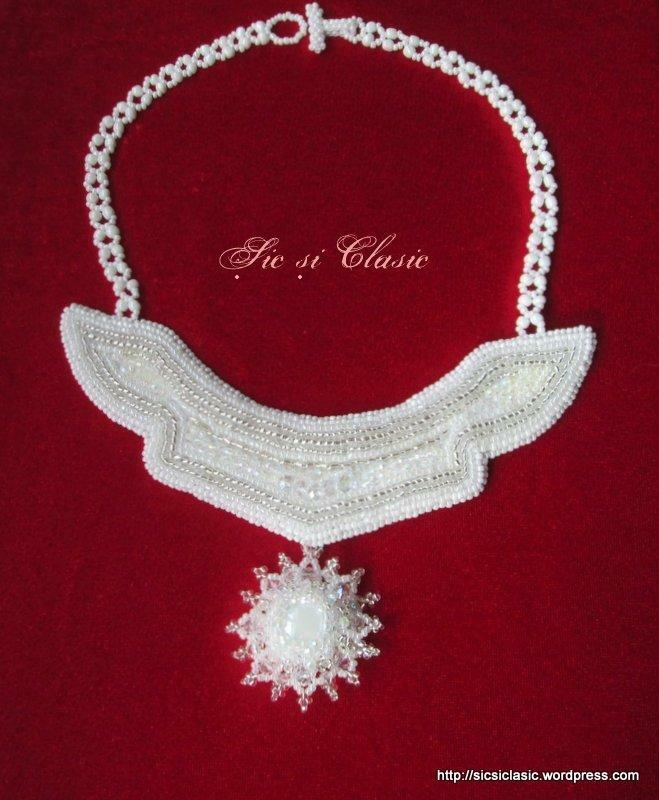 Like usual is a full hight quality of handmade work with original design made by myself. I wish you a full year of love! / Va doresc un an plin de iubire! Multumesc that means Thank You! This is really lovely. I didn’t know about Dragobete before, but I do know a little about the Dacians and Thracians. It’s too bad their languages went extinct, except for a few words. I always look forward to your latest piece. Trajan is of Iberian origin. However, I’ve always thought of Dacians resembling the Celts, thus Trajan’s connection might not be that strange. I have to say that is one of the most beautiful pieces Ive seen anywhere. period.!! It is so delicate like a pure snow flake I love it. WOW. It is very interesting lovely as usual!!! That pendant is very pretty. the star is just wonderful! Just gorgeous, and thank you for adding the stories behind, it’s fascinating! Outstanding. Like snowflakes settling on your neck with a loving caress. A lovely necklace. So intricate. And a lovely holiday you have there in Romania as well. How beautiful! And, thanks for sharing about Dragobete. I had never heard of it before! Great work Adeline, I will forward your blog to my female friends as well! A treasure indeed. Thank you for sharing the tradition. I like that an celebration for the nesting birds. Your necklace reminds me of swan wings holding a white sun. Interesting story behind this and that is an incredibly beautiful piece of work. 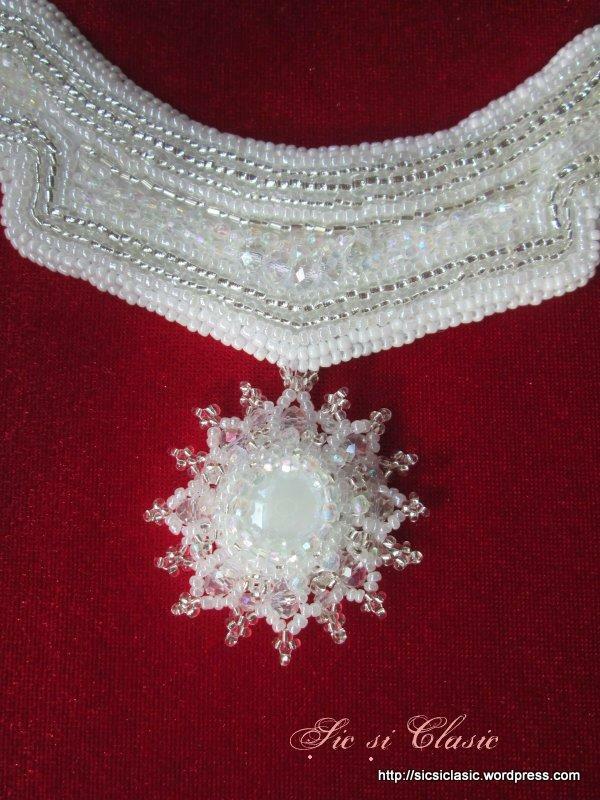 The necklace is made beautifully! And I love the connection between the jewellery piece and your country’s tradition. Your work is very beautiful.. and more than that — awe inspiring! This piece is incredible. Foarte frumoase si deosebite toate bijuteriile.Succes in continuare! This is so beautiful and delicate, wow! 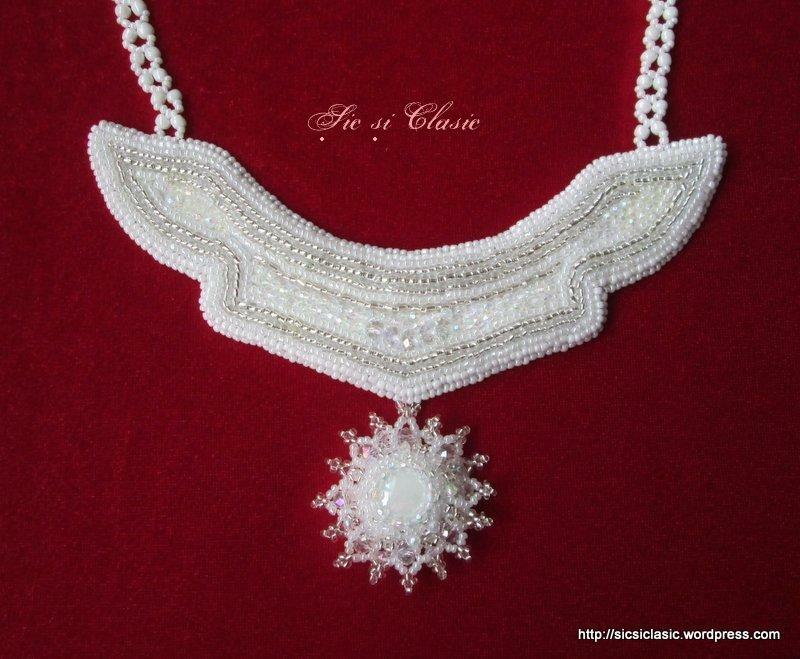 I immediately wanted to know where I can get such a piece in a more simple form though (since I am a re-enactor I am always interested to find such handmade things to go with my ‘impersonation’). Beautiful necklaces! Thanks too for visiting my blog. You do beautiful work, Adeline. I wish you success with your business. Frumoase bijuterii si elegante! Succes!